So, as my novel Tangled Paths comes up for line editing this week, and I begin suffering from irrational nightmares of my characters being stabbed to death with red pens (seriously, I have one really screwy subconscious) I decided it might be prudent to explore the depths and reasoning behind such illogical anxiety. And it is illogical– my editors and publisher at Red Adept are very good at their jobs, and I trust them very much to do an excellent job on my book– so why the fear? Why the loss of sleep? The answer, when I reached for it, surprised me, for its not something I thought still bothered me. For those of you unawares, dyslexia is a learning disability where in the brain doesn’t recognize letters (and sometimes numbers and other stuff) in the correct way–sometimes we’ll reverse letters, sometimes we just don’t recognize them, and sometimes words will literally just fall off the page in front of our eyes and scare the crap out of us. (that happened to me in 3rd grade– I thought my eyes were melting) We also tend to be repetitive in expressing ourselves, often repeating the same idea in different ways in the same sentence. The symptoms can vary extensively, and it can also be coupled with other learning disabilities like ADD and ADHD, amongst others. For me, I can’t tell the difference visually between ‘defiantly’ and ‘definably’, and things in the CoG coding like > and < fly by me without me realizing I did it wrong. I check, and double check, and triple and quadruple check to the best of my ability, but in the end there are still mistakes, no matter what I do. And I’ve learned to accept that. Nowadays for me it’s more a minor inconvenience, what with spell check and the dwindling of proper English on the internets, but when I was younger it was a different matter. I was actually told at the age of 11 that “you aren’t a writer, J, because writers can spell.” That sea of red corrections, of getting a ‘C’ on a test instead of and ‘A’ because I put my e’s before my i’s again. It was heart-wrenching, the assumption from my teachers and peers that I was either stupid or lazy, because I seemed to understand, but just couldn’t seem to do it right. But the issue was my brain, I literally couldn’t see it correctly. And I still can’t; not without extreme effort on my part. So this is why my heart flutters and I feel sick, seeing my novel ‘go under the knife’ as it were in line editing, despite the fact that I have a really, really great editor that I trust doing the job. I know it needs to happen, for the sake of my poor readers’ sanity–but even as I am so many years removed from that moment, I can’t seem to shake those words: “writers can spell”. I can’t totally shake the sense that I’ve somehow done something wrong, have somehow not lived up to an expectation, all because I put ‘right’ instead of ‘write’ somewhere. Well, I can’t spell without help, I don’t use proper grammar half the time out of sheer lack of ability to retain what ‘proper grammar’ is, and ya know what? Walkers, we have a problem. ….but it’s been fixed. Mostly. First: due to circumstances i’m still not certain of, CoG accidentally released the pre-beta of WW:U2 instead of the fixed version. So for all of you who’ve been reading WW:U2 the last few days, be ready for some changes after the up date– you’ll be able to beat Clay if yr stats are correct, there’s some extended scenes, and a heck of a lot less spelling errors. There should also be no more bugs. Second: This mistake is on me. When i was originally writing WW:U1, at the end where u can come back after you die, i had originally put-in that you could have 12 death flaws when u came back. I realized this was insane, and cut it down to four. The only issue was, somehow, in the shuffle, i didn’t delete one of them: the Talent one. So all of you who had saved games with the Talent flaw probably experienced a really weird issue with continuity for the second game, b/c it wasn’t written in at all. You probably jumped around from having several different flaws in the actual text, all while yr stats stayed the same. I am SO SORRY. The flaw has been removed from WW:U1, and for anyone who had it in yr game as a save, you’ll now have a message at the beginning of two prompting you to pick a new flaw. Your Rosin (talent score) will also be restored, within reason. Three: When we removed the talent flaw from WW:U1 with the patch, it started making everything go haywire– skipping scenes and freezing and making you unable to pick yr gender. We are still not sure why it did that, but it has been fixed and the patch is already available for Android and AAA. IOS will take a little while to approve the update and get it out there, please be patient. We’re hoping for 48hrs for it. if not, as said, please be patient. Four: saved games. for another reason we can’t sort, the saved games weren’t uploading for some people on googleplay and NO ONE could save their game at the end of WW:U2. This, too has been resolved and will be fixed in the most recent update. And that’s it. Again, my friends and fans, i cannot apologize enough for this mayhem. Some of it was absolutely my fault, some of it was random, and some of it is simply human error. It was never my intention to subject you to an inferior product, and i hope for all of you who’ve left poor reviews, you’ll give the games a second chance and hopefully be happier for the experience. Release of Way Walkers: University 2 Imminent! That’s right folks, it has been confirmed, Way Walkers: University2 shall be released this up coming October 10th, 2013! 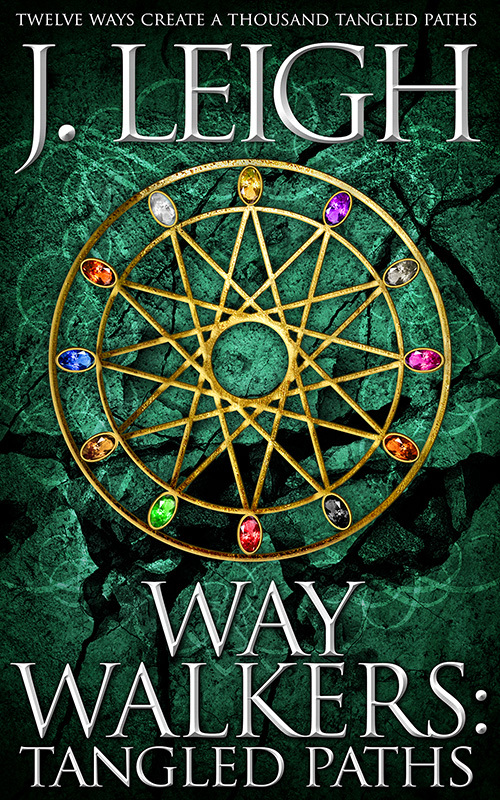 The original Way Walkers: University1 shall also be one sale in the app markets for .99 to celebrate this release– so if you’ve been trying to get your friends to read it, now is the time to tempt them! The sale will run for the next month. I has a Cover!!! 😀 You can also veiw the up and running Way Walkers: Tangled Paths page over at Red Adept! Excuse me while I panic….